This lighting pole is the best and the cheapest solution to light an area. It offers many advantages over the conventional lamppost or other types of lighting fixtures. 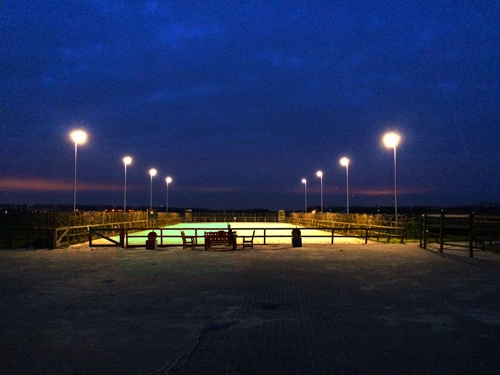 These tiltable lighting poles are suitable for use at storage sites, riding arenas, ice rinks, tennis courts and cycling tracks, as well as building sites, loading and unloading areas and other (sports) grounds. The nine-meter high poles are equipped with an energy-efficient Philips fitting with a capacity of 130,000 hours, while the lamps are adjustable, so you can decide how high you want to hang them.